Temporomandibular joint disorder or TMD is a term which refers to a series of problems or conditions related to the area where the upper jaw and lower jaw meet. The chronic facial pain is also sometimes due to this disorder and professional treatment is required if the symptoms are prominent and persistent. Basically TMJ is of two types: the first one is related to muscles and it affects the jaw and the neck, and the second type is related to joints which is often a result of some other condition within the TMJ area such as inflammation, or disease which affects the entire body like degenerative arthritis. Headache, and in some cases migraine, and facial pain are the most common symptoms of TMD. In addition to these, a person with the disorder of the temporomandibular joint may also experience ear and eye problems such as blurred vision, watering of the eyes, pain in the ears without any reason, and a feeling of giddiness. TMD affects the neck and the shoulders as well. Although there might be other causes for joint pains but if a patient also experiences a constant facial pain which has no other connection along with all these symptoms, there is a good chance that the person is suffering from TMD. Teeth and gum problems like sensitive teeth and bleeding gums are also symptoms of this oral disease. The patient may find it difficult to open and close their mouth because of locking of the jaw. Pain and tenderness in the TMJ area can lead to more serious symptoms if it is consistent. It is advisable to consult a doctor when these symptoms become prominent. The treatments of this type of disorder may vary depending on the symptoms and causes. In some cases physical therapy alone can prove to be effective. In more serious cases oral appliances, occlusal therapy and medications might be required. Since TMD affects the neck, head, shoulders and jaw, physical therapy is performed to correct the patient’s posture to ease tension in these areas. Massage and electrotherapy may help increase muscle strength and restore normal function of the joints. To control facial and joint pain the doctor may prescribe pain killers or some specific medicines for TMD. 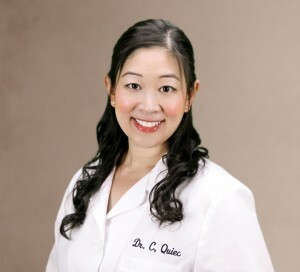 Uncomfortable or improper bites are treated with the help of oral appliances and occlusal therapy. When pressure is reduced in the TMJ area, chances of improvement are increased. In some rare cases TMJ surgery might be the only viable option. If all other treatments fail to work, surgical procedures like arthroscopy (closed joint surgery) and arthrotomy (open joint surgery) are suggested by the doctors. Surgery may involve some oral procedures such as implants, occlusal adjustment and restorative dentistry procedures. Since these treatments are irreversible they are not recommended to patients who experience minor symptoms of this disease. Also keep in mind that prevention is always better than cure. So, if TMD and symptoms related to this disorder go away after physical therapy or similar treatments, you should not consider surgery.